Every language has its own special idioms and sayings that cannot be translated literally. English is full of them, which makes the language hard for those who are learning it. Americans are used to seeing Spanish everywhere these days, especially in the Southern and Western states. 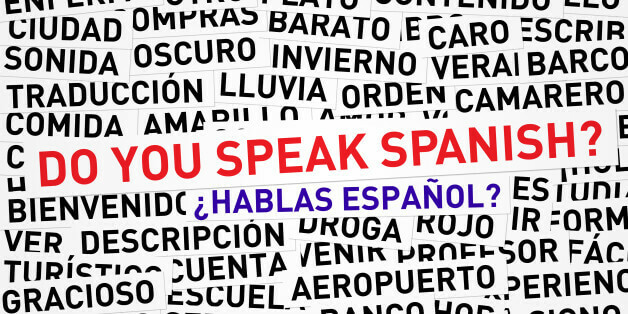 Many people in the U.S. are making a serious effort to be able to speak Spanish, not just so they can communicate more easily with that country’s largest immigrant community, but so they can take advantage of the fantastic travel opportunities south of the Rio Grande and right down to the tip of South America. Spanish English translation is not so common amongst translation service providers in Australia, but one would expect that a professional NAATI translator who offers Spanish translation would be able to understand the range of Spanish idioms that are described below. Much translation work these days, especially for marketing, requires a thorough understanding and feel for the uniqueness of the languages they translate. Take the Spanish word “sobremesa”, for instance. Literally it means “on the table,” so the amateur translator might scratch their head and think it really was all the things on the dinner table. That’s not the Spanish meaning, which is more idiomatic. It’s actually the after dinner talk that goes on after a nice meal together with friends or family. An afternoon meal in Spanish is “merenda” and to go out and have a meal with some friends in the afternoon is the verb “merendar”. It has no literal translation in English that means anything quite like that. Some expressions can be guessed at, but may be more specific than you think. Te quiero, for example, means “I want you” or “I like you.” Well, with the talk getting intimate like that, the translator may wonder just how much the Spanish speaker ‘wants’ the listener. The answer is that it is somewhere between liking someone’s company and really loving them. A sort of ‘sit on the fence’ or intermediate position when it comes to relationships! The word anteayer is a little easier to grasp, although there is no single word in English to represent it. Literally it means ‘before yesterday’ and in this case, that’s what it does mean! It’s hard to imagine exactly how often the word tuerto would come up in a translation services agency in Australia. It means “one eyed” in Spanish. Of course, it is essential to use a NAATI translator if you are contemplating immigration applications into Australia and there will be equivalent translation requirements into many other countries, so perhaps describing yourself as a tuerto may be necessary if you really are one eyed and not a pirate! Idioms are the fun part of learning another language and if you intend polishing up your Spanish, be aware that it is full of amazing idioms waiting for your efforts and appreciation!